Formula One's head of global sponsorship Murray Barnett says the sport is keen to establish a second Grand Prix in China. Held at the purpose-built Shanghai International Circuit, the Chinese Grand Prix has been a permanent fixture on the F1 calendar since 2004. With plans afoot to open a dedicated F1 office in Beijing, Barnett said another race in China could be on the cards. "We would love to have a second race here," said Barnett. "Probably not in the short-term, given how congested the schedule is already, but we'd certainly love to figure out a way to have another Grand Prix here." 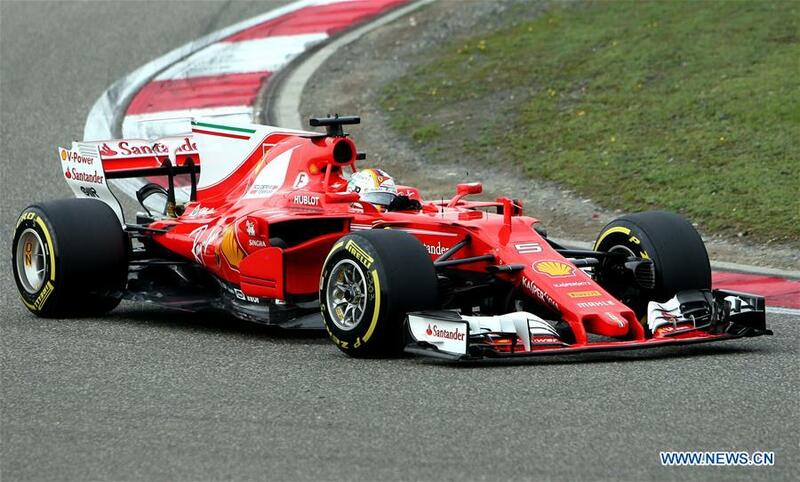 The 2019 Chinese Grand Prix is set to be the 1,000th F1 World Championship race since the series began in 1950. Barnett added that expanding F1's Chinese fan base was a priority. "We're looking at a number of different things to try to generate more interest on a local basis," he said. "We can't just be here for the three days of the Shanghai Grand Prix." While no Chinese driver has yet started a F1 Grand Prix, one of the country's brighter prospects is Zhou Guanyu. The 19-year-old is set to race in this year's Formula Two championship, widely considered as F1's primary feeder series. Barnett noted that many within F1 are monitoring Zhou's progress with great interest. "We'd love to see him (in F1)," he said. "Ultimately, that's down to the teams, but I think even they recognize what a fantastic opportunity China is, and you never know, we might see him in F1 very soon." In recent years, F1 has sought to establish Grands Prix in countries outside its traditional heartlands of western Europe and South America, with Russia and Azerbaijan having joined the calendar in recent years. A Vietnamese Grand Prix, to be held on public roads in the capital Hanoi, will be held in 2020. Vietnam's inclusion on the Grand Prix calendar surprised some observers, with the country having little history of motorsport. Recent Grands Prix in South Korea and India having quickly disappeared after failing to generate local interest. "Both of those races only had short-term deals, and we certainly believe in investing for the long term," he said. Vietnam's contract with F1 is longer than the three and four-year stints afforded to India and South Korea. Barnett was in Beijing for F1's strategic marketing conference at the British Ambassador's residence, where UK Trade Commissioner for China Richard Burn said that despite the ongoing impasse over Brexit, sporting ties between China and the UK remain strong.